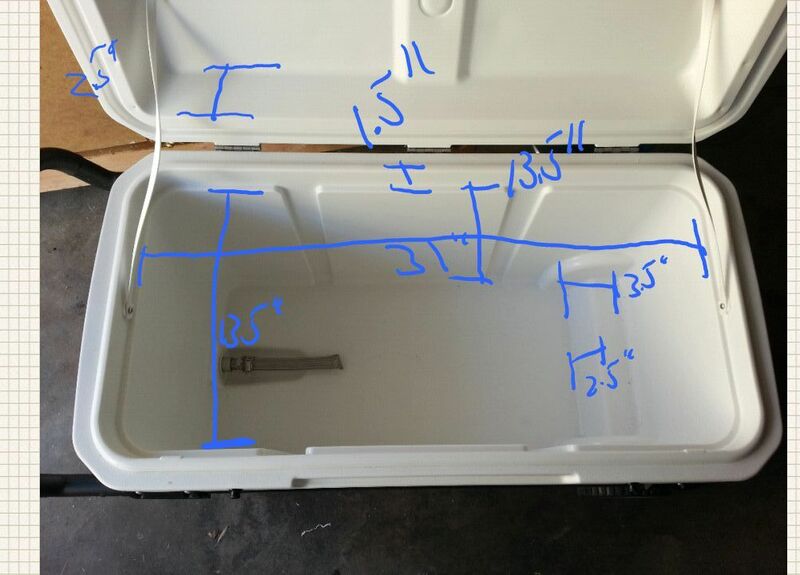 I’ve finally completed my mash tun build, the last new tool I need for all grain brewing. For my birthday, I got a 110qt Igloo Glider Roller cooler from Costco, a ball valve kit, and a 12″ stainless steel water heater connector. With this I will be able to brew the highest ABV beers (all the way up to 18%) in 10 gallon batches. Which is perfect since I recently got new kettles and burners (see my other post on that) to do 10 gallon batches too. With my new gear I’ll had to do was take out the coolers drain and then put in my own drain. Well 8 hours later I’ve finally finished. Apparently my cooler is thicker than most coolers so I had to get some additional parts. 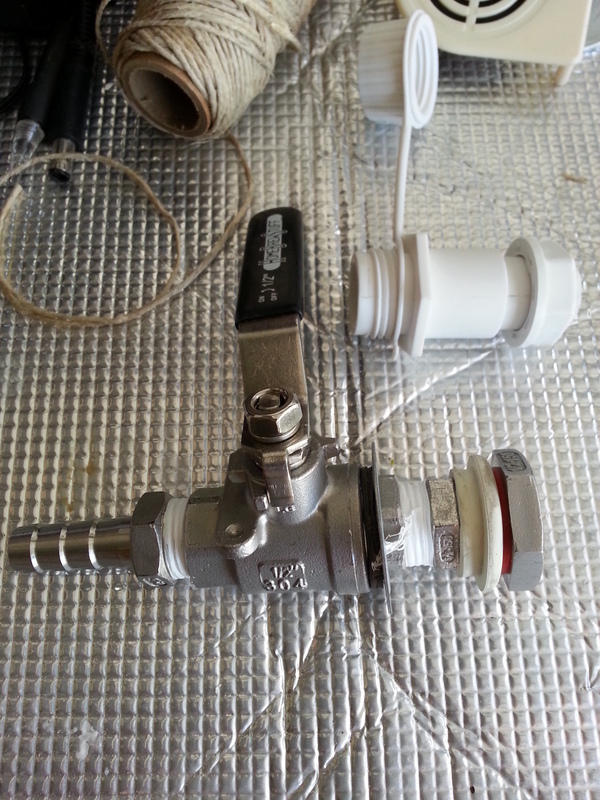 With my new parts, a female to female (f2f) extension and a male to male extension,, both stainless steel, I had a setup that was too long and I had a leak out of the hole. So I then hand cut the f2f extension on both sides to shorten it up. Still this leaked. I tried several other configurations with additional washers and they all had leaks. Then when I was in DC I stopped at a My Local Home Brew Store and got some help from some very friendly staff and purchased several O-rings, some heat resistant some not. Well when I got home I still could screw things together without having an ever so slight leak. Note, the leak on the outside was slow, which is bad, but I was also worried that it was leaking into the center of the cooler, even worse. 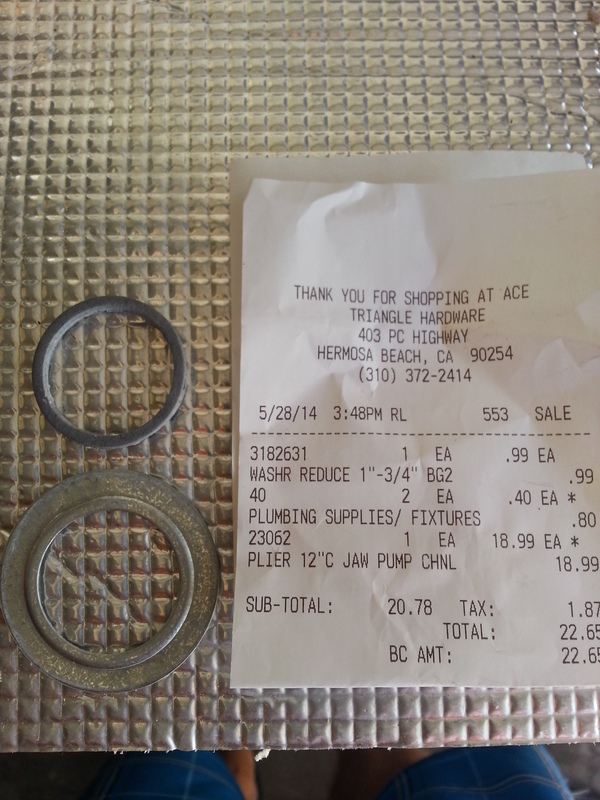 So then Chase and I made another trip to another hardware store and picked up some more washers and another pipe wrench. With that final trip to the store I finally got a mash tun that didn’t leak. Hallelujah! Oh, and it turns out I never needed to cut through any of the f2f extension, but it works just fine short too. 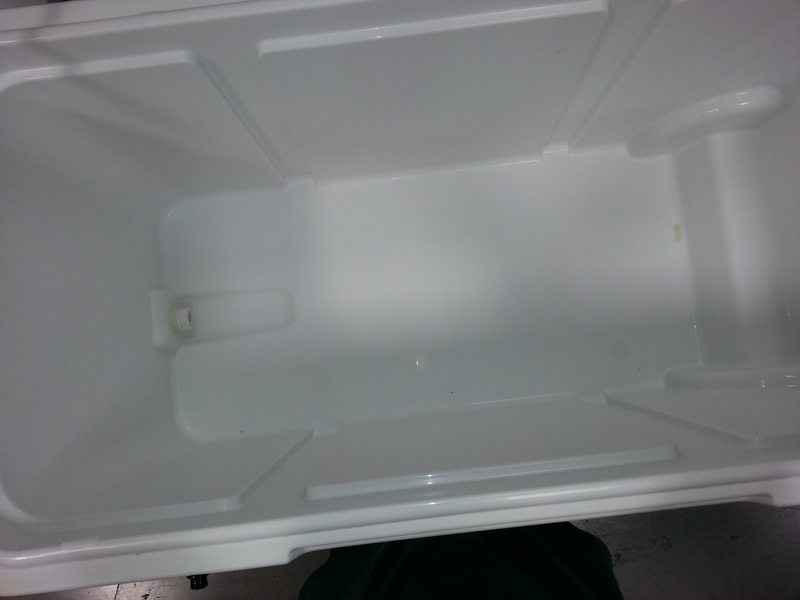 One final note, most coolers advertised size includes the lid and seems to not always add up correctly. 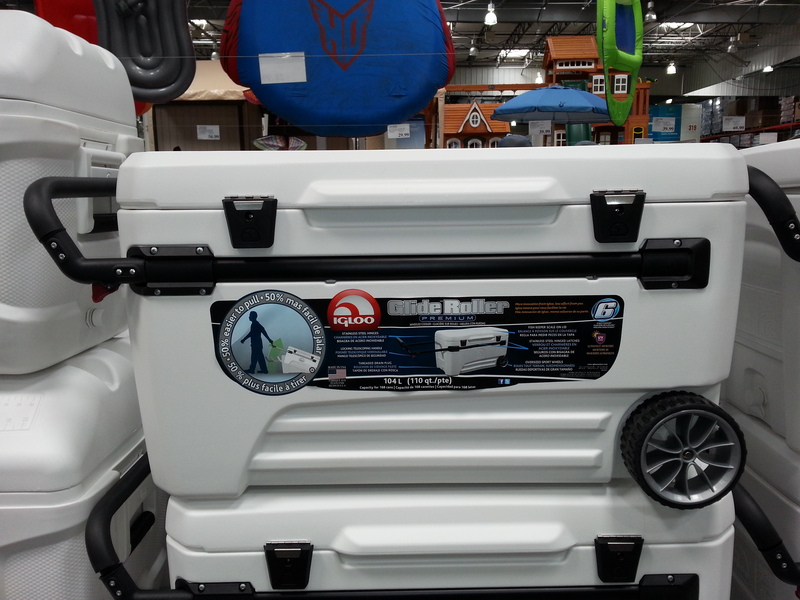 This cooler, Igloo Glide Roller Premium, is advertised as a 110qt cooler. When you measure up to where the lid hits 13.5″ (which is needed to keep the heat in while mashing) and take out the bump in the inside this cooler ends up being about a 96qt cooler. Still plenty big for 10G batches, but something to be mindful when selecting a cooler.